Register your place now. Guildcare will contact you for payment. Please register your place here and Helen from Guildcare will contact you regarding payment (£7.50). Payment: Register your place now and Helen from Guildcare will contact you regarding payment. 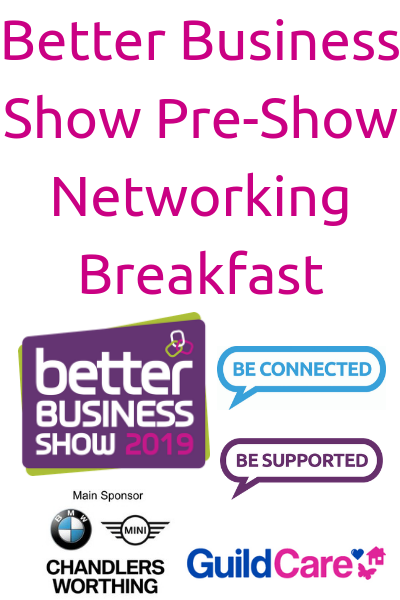 Join us for our networking breakfast and meet the Mayor before the Better Business Show. Looking to meet other like-minded local business people? Then come along and get connecting over breakfast!